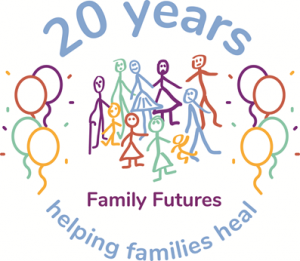 Though we’re celebrating 20 years since the birth of Family Futures the idea was actually conceived 30 years ago. At that time, in the 1980s, adoptive parents who had adopted older children, sibling groups or children with complex needs were receiving no post adoption support of any significance or to any effect. In that sense our service was conceived from anger and despair with the intention of providing hope and change. As practitioners working in the early days of post adoption support, we were challenged to find clinical interventions and theoretical models that would help us and adoptive parents make sense of the struggles they were having with their (what we would now understand as) traumatised children. At its inception, Family Futures used attachment theory as developed by John Bowlby, which was our first step towards understanding why adopted children were so challenging. It was our getting to know Dr Dan Hughes and his work that enabled us to translate attachment theory into clinical practice. This relationship with Dan Hughes has been seminal. Dyadic Developmental Psychotherapy (DDP) is a training course we have offered since that time and integrated it into our work. 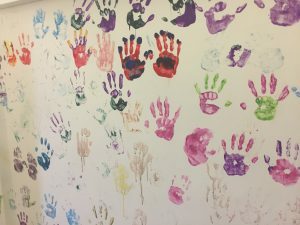 In early 2000, our Educational Psychologist, Richard Lansdown, based on his clinical experience of Great Ormond Street Hospital, realised that the children he was assessing at Family Futures had Executive Functioning difficulties. Their problem-solving and cognitive processing had been impaired by early neglect and abuse. After five years of Family Futures’ work with families, and having looked at so many horrible histories of the children we were working with, we realised that this population of children not only had attachment difficulties but were highly traumatised by neglect and abuse in early infancy. It was then that the work of Bruce Perry and Bessel van der Kolk provided a neurological basis for our understanding regarding the impact of trauma on child development. The final piece of the jigsaw was at this time our emerging awareness of Jean Ayres and Sensory Integration. It became apparent to us that neglect and abuse in infancy had a developmental impact upon how children are able to regulate their sensory information both internally and externally. In 2006, we published our first paper which outlined our neurosequential approach to treatment in which we integrated therapeutic interventions that were sensory, attachment and cognitively focussed, and we linked them to the triune brain. We have subsequently called our model of therapeutic intervention Neuro-Physiological Psychotherapy. For children who have experienced ‘significant harm’ there are developmental consequences that impact their sensory motor development, their affect and attachment, and their cognitive processing abilities. In order to respond appropriately to this complex picture, Family Futures has had to develop over the last twenty years, an integrated, multidisciplinary team of professionals all dedicated to and with an expert understanding of the neurological, biological and psychological needs of adopted children. This approach has been validated by 2 research papers published in 2016, one outlining our model and the other evaluating the model’s efficacy.